I wasn't going to write a blog post this week and wait until monday but I am just so eager to show off my picture with you in the snow. :D We did not get any snow last year and I was not happy about it. I have heard we're getting snow this week and man, I was just the most excited human being. Right when I saw the snowflakes falling from the sky, I ran inside the house and grabbed my jacket and ran back outside and feel the coldness of the snowflakes pouring into my face. I would say I was the happiest woman right at that moment. I always have this fear with the wind blowing off stuff. I was scared to death that the wind will blow my tripod and camera. So I had my husband taking pictures of me in his boxers. Hahaha. He was absolutely shivering. I don't actually share so much personal information on Facebook unless it's kids cute photos, sometimes pictures for my close friends and family to see. But this time, :D I have decided to share it to the whole wide world. By monday, I'm going to post more snow pictures. We didn't get so much but at least the sky poured some into our place. By the way, folks, in case you want to pin some cute outfit stuff, I have been hooked with Pinterest lately. I actually browse gorgeous outfit through Polyvore and pin it here. I do this during my pastime. I sincerely wished that I am fit enough to dress up and take gorgeous picture of myself. But this time, I am just shy. I have been wanting to create my own style through the web and I am very fortunate that I found it on Polyvore. You can follow me here. So here's my creation. Enjoy! New follower from the blog hop! Love your blog & can't wait to get to know you more :) Have a great day! 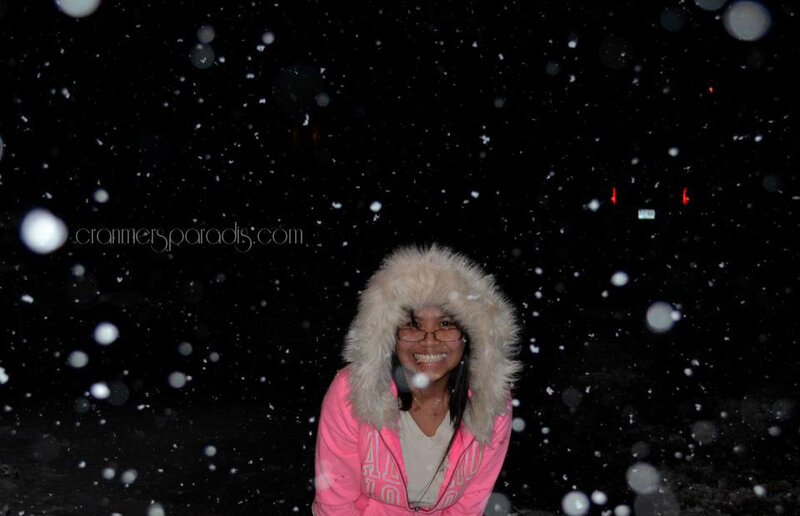 Snow looks fun and you look ADORABLE!! Found you on the blog hop, I'm your newest follower:) Feel free to follow back and have a wonderful new year!